The pressure reducer with filter is part of the Kärcher Rain System™. It reduces the input pressure from max. 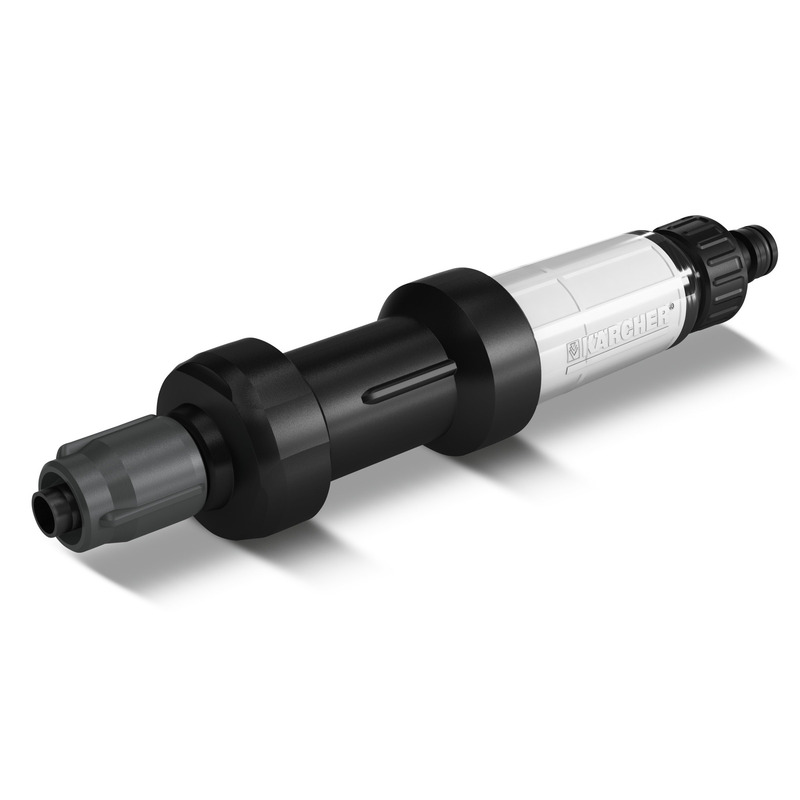 12 bar to an output pressure of 4 bar and is installed between the feeder hose and Kärcher Rain System™. The particle filter protects the system from dirt particles. The filter inlay can be easily removed and cleaned. There is a tap connector on the input side, which is compatible with all karcher tap connectors. The output side is the connection for the Kärcher Rain System™ hose or the soaker hose. The hoses are simple to attach and fixed, without the need for tools. The efficient Kärcher Rain System™ combines the advantages of micro-dripping and conventional watering systems. 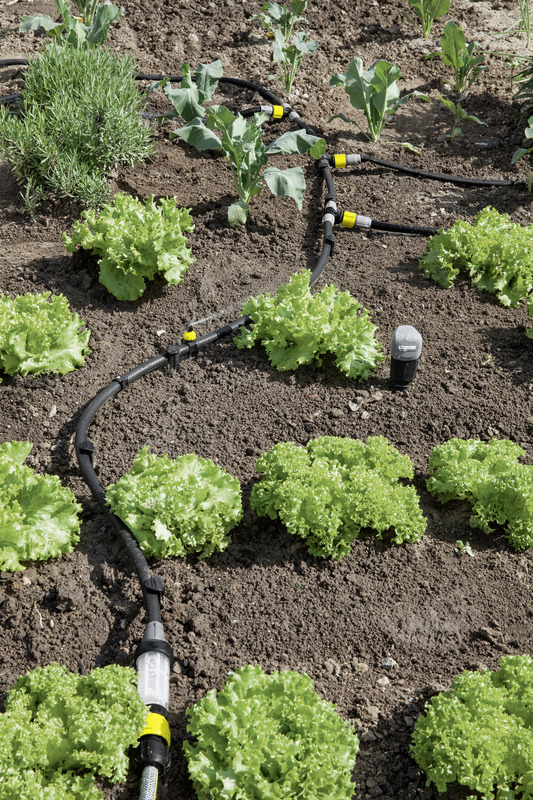 It works with up to 4 bar pressure, can be individually adapted to almost any type of garden and works perfectly with the SensoTimer for needs-based watering control.